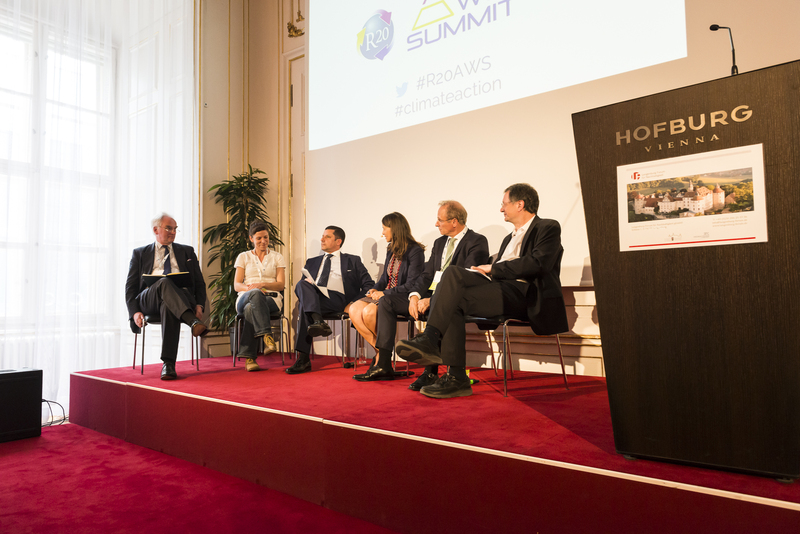 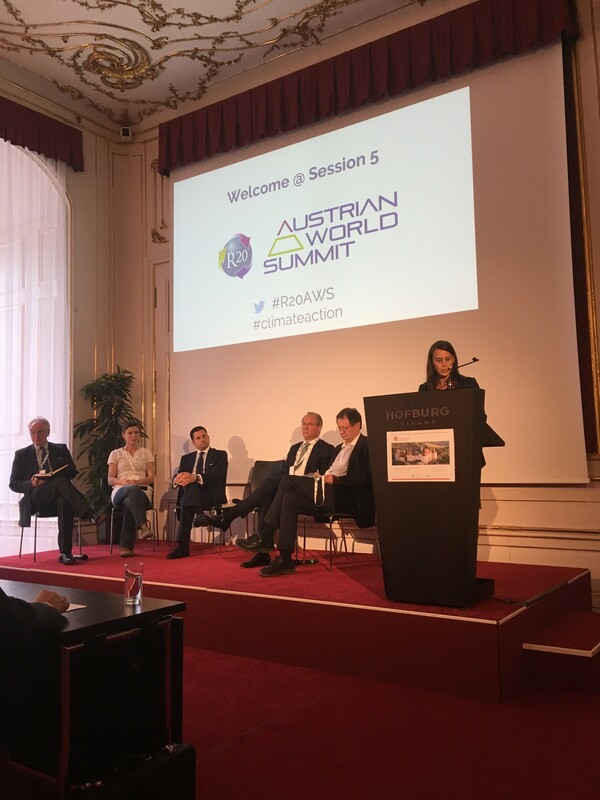 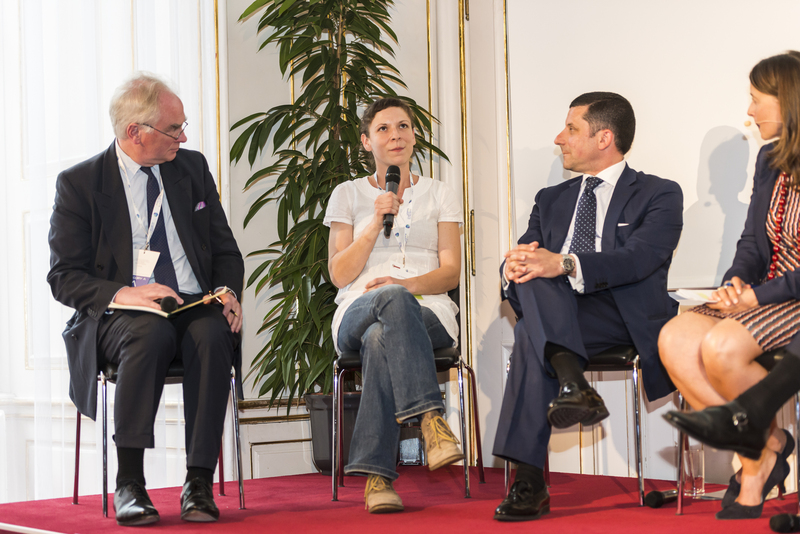 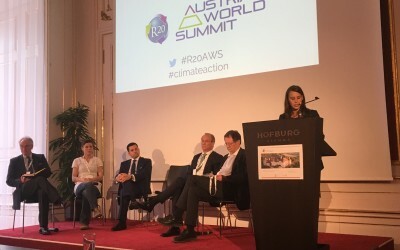 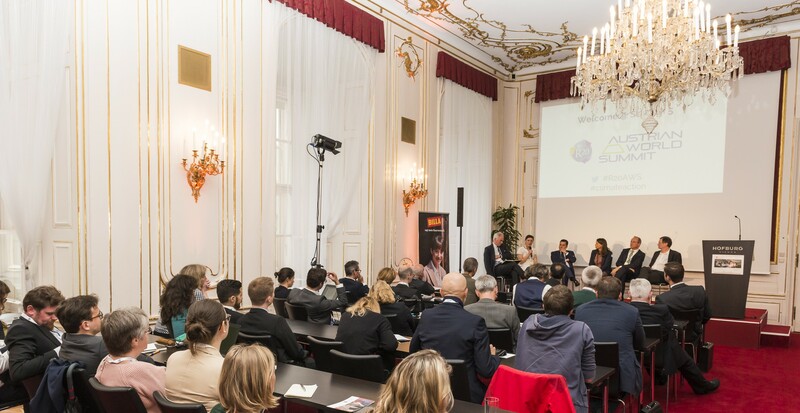 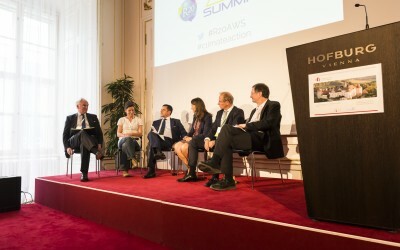 The second annual Austrian World Summit was held on May 15th, 2018 in Vienna. 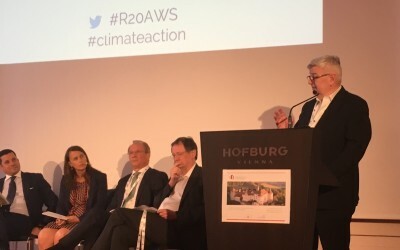 Arnold Schwarzenegger’s NGO “R20 Regions of Climate Action” invited more than 700 high-level speakers to discuss and debate the meaning of leadership in the implementation of the Paris Climate Agreement and the United Nations Sustainable Development Goals. 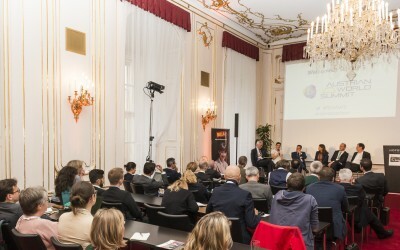 As part of this event the Langenburg Forum for Sustainability hosted a panel in the afternoon titled “Interactions of Cities and their Surroundings”. 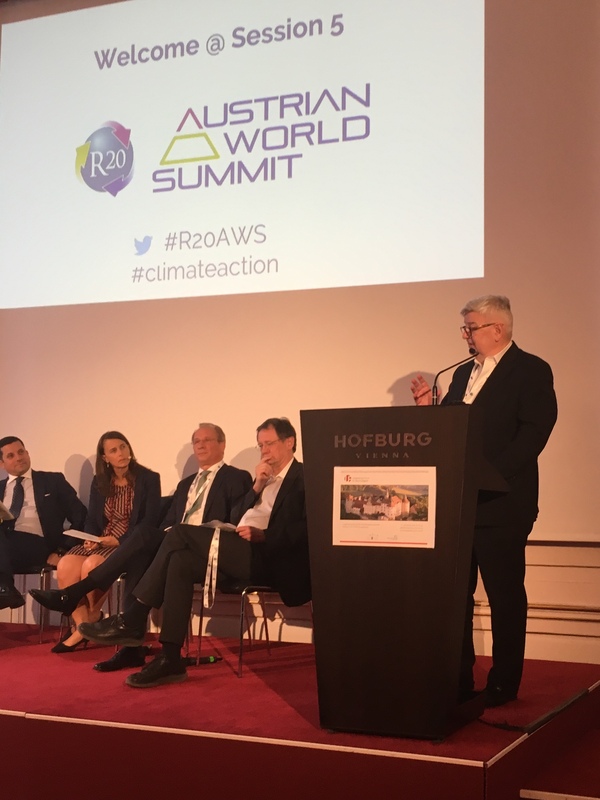 Following a keynote speech by the former Foreign Minister of Germany, Joschka Fischer, the panelists discussed how to ensure better collaboration between cities and their surroundings and how urban and rural linkages could prove vital to the future of stainable development. 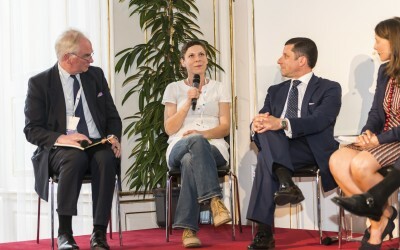 Marcel Haraszti, Divisional Director Rewe International A.G.